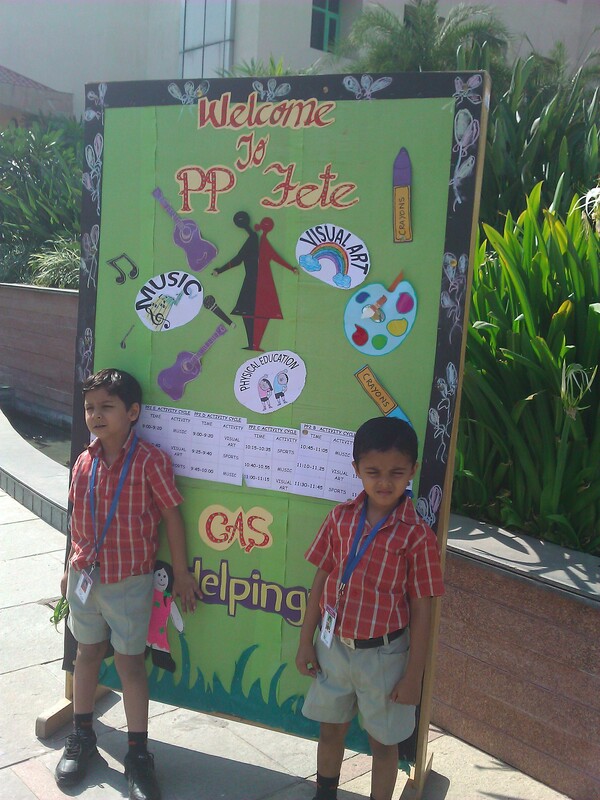 Venky had a small fete day today in his school. Basically, it invloved music, visual art and sports with some goodies being sold for some charity. Dadi and I went with him for this event. The moment we were inside his school, Venky took over. “Mommy, this way.” He guided us to his class. The class was crowded with other parents and children. Venky barged in. I hesitated as the door was blocked by someone. “Come mommy, come.” Venky looked back and held out the hand. The kids were singing their rhymes. 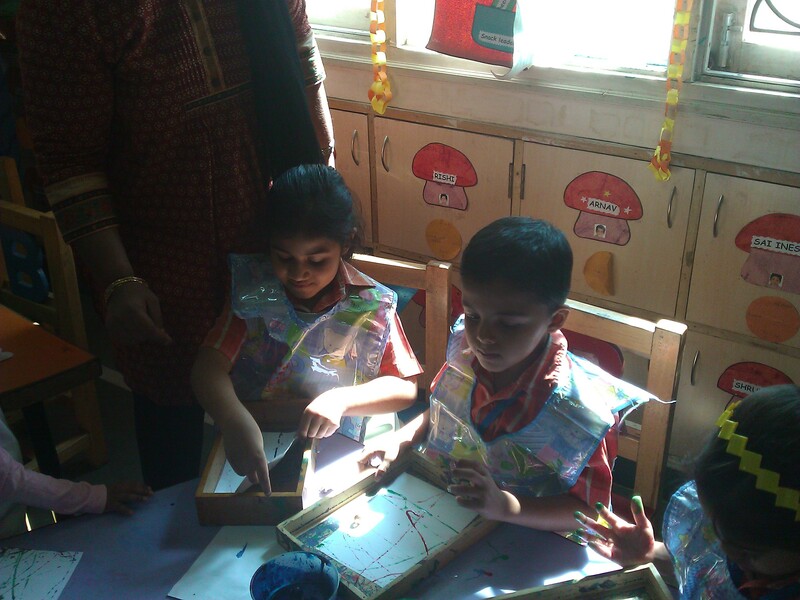 Their teacher requested the parents to come up in front and join the children. “Aaaaooo mommy.” Venky literally dragged me out of my shyness.